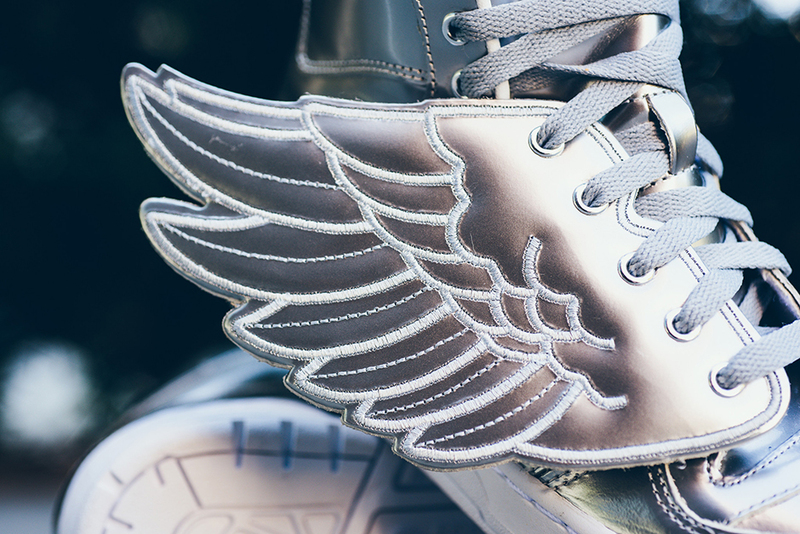 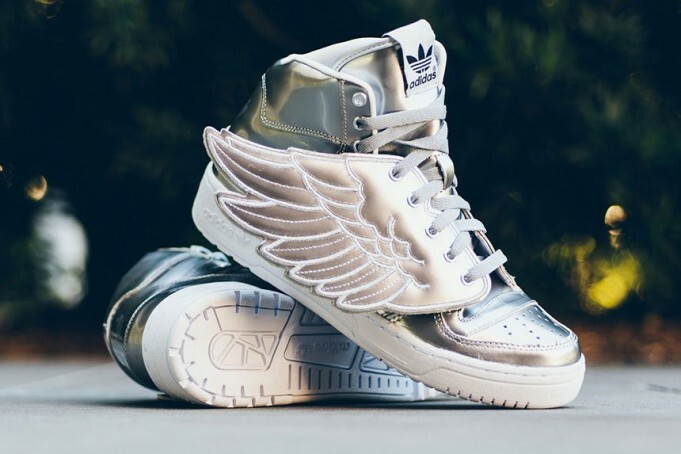 adidas Originals Jeremy Scott Wings "Metallic Silver"
Jeremy Scott is known for fathering some insane silhouettes but one of the most popular out of the bunch, is the winged adidas model that debuted a few years back. 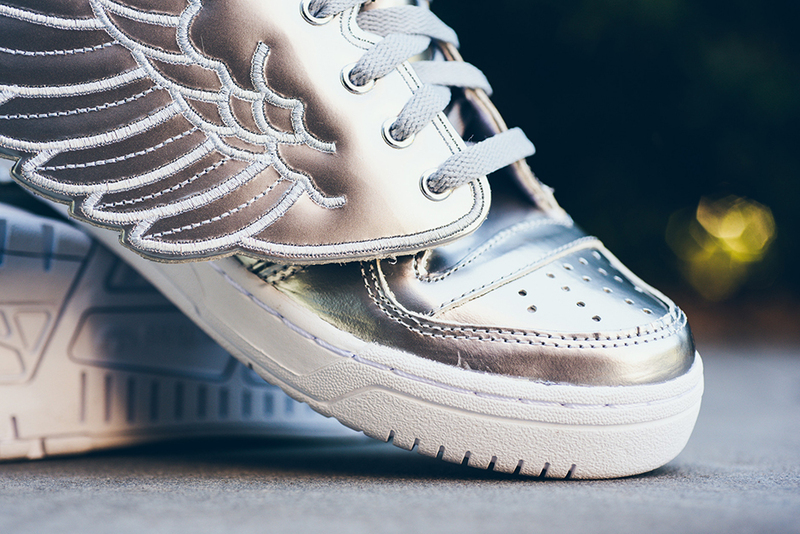 The latest colorway featuring a Metallic Silver take, adds on to the adidas x Jeremy Scott library. 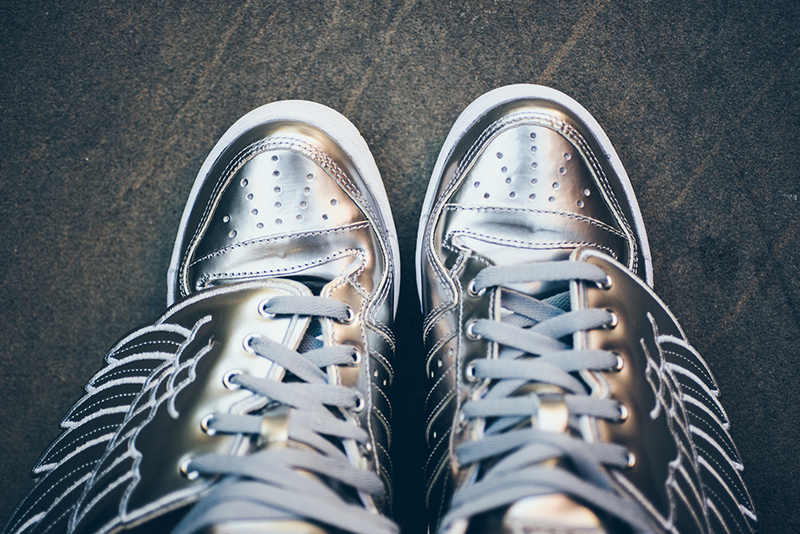 White and several tones of grey accent this particular model, with a white rubber outsole. 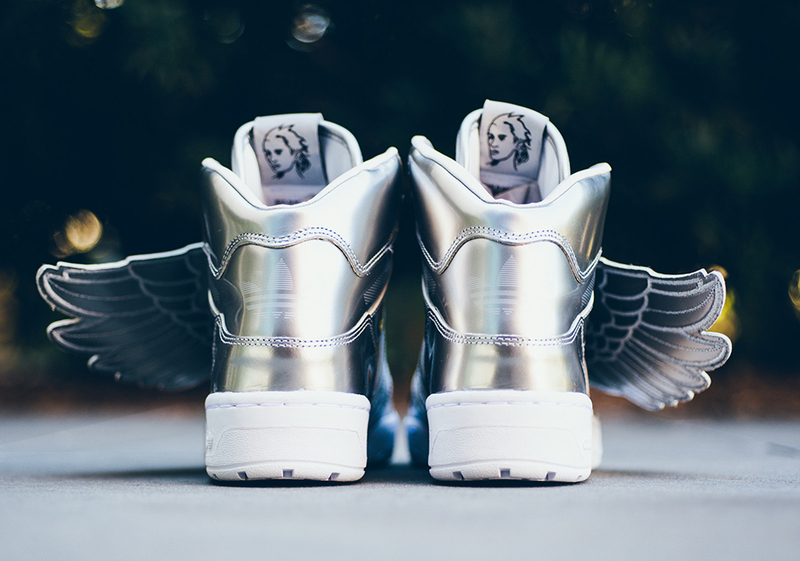 For those into the crazy sneaker concept, You can purchase these right now at retailers like Sneaker Politics.